Kasco Marine 2 HP 240V High Oxygen Aerator - With 150-Ft. Cord, Model# 8400AF | Fountain City Art Ctr. 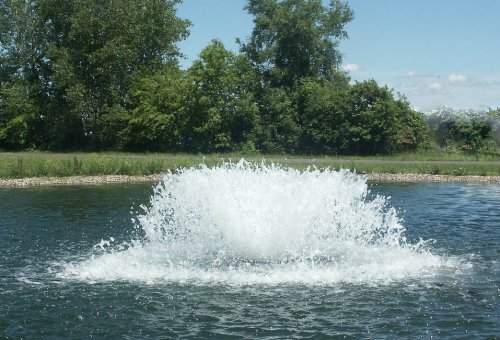 The 8400AF High Oxygen Transfer Aerator produces a crown of water at the surface, adding 6 lbs. of oxygen per hour. Draws 10 Amps @ 240V. Includes 3-pc. float with three 50-ft. mooring ropes. Requires only 20in. of water to operate. ETL approved to UL and CSA standards.